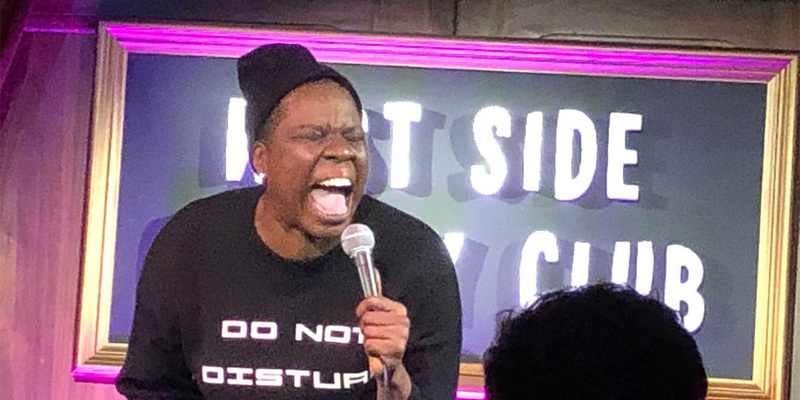 Leslie Jones performing on stage at the West Side Comedy Club on Thursday, January 31. 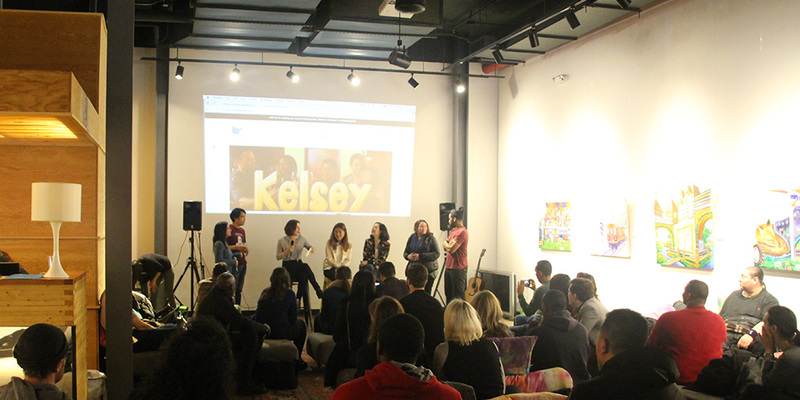 Leslie Jones aka @Lesdoggg is reppin' the Upper East Side and presenting on the Upper West Side. The Saturday Night Live writer / cast member has a quarter century of stage time in stand up comedy and she continues to grow at the young age of 51. Jones made a special guest appearance working on material at the West Side Comedy Club Thursday night 1/31 following the Finer Show where a rotation of stand up comedians with TV and film credits hustled their sets. In last week's Saturday Night Live episode, "A Word from Leslie Jones" created a shout out to her home on the Upper East Side. Highlighting her neighbors, hot spots, the Comic Strip, standing in line for fresh bread (Orwashers) and the feelings she has about landing in her zip code, "Moving on up like the Jefferson show"
Watching Leslie Jones perform you are taken in by her presence and confidence. Interacting with the crowd, expressive facial and body moves, her energy switches from someone who seems to have channeled Sam Kinison through her screaming clarification to moments later, a statuesque and resembling a modern day goddess. Jones has made appearances on TV series Workaholics and Blacklist, but is more recognized from her film appearance in Trainwreck and co-starring in Ghostbusters in 2016. You will hear her voice in the upcoming Angry Birds Movie 2 due out in August of 2019.